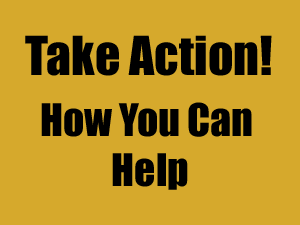 “Fracking” is short for hydraulic fracturing, or hydrofracking. It is the process of injecting frack fluid, a mixture of water, sand and chemicals, at high pressure into shale to fracture the rock, thereby releasing trapped natural gas. 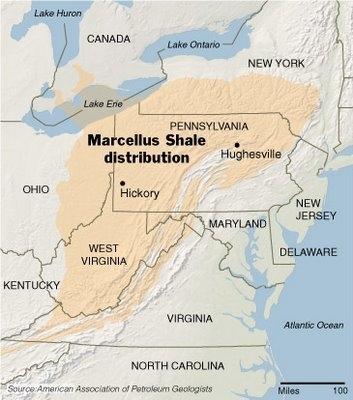 Marcellus shale is a layer of black rock that lies 3,500-8,000 feet below the surface and is the current target of fracking. Most of West Virginia is underlain with this shale; in West Virginia the vertical depth of the formation itself is approximately 150 feet. The formation also extends into Pennsylvania, New York, Ohio, and Virginia. Fluid recovered from the well after the fracking is completed is called flowback fluid or waste water. Only 10-40% of the frack fluid is recovered. The waste water contains materials released by the broken shale such as mineral salts, toxic heavy metals, and radioactive materials. It also contains chemicals that were added to the frack fluid. Waste water is on average 2-7 times saltier than sea water at the end of the recovery process. Industry can recycle the waste water by reusing it for other frack jobs. 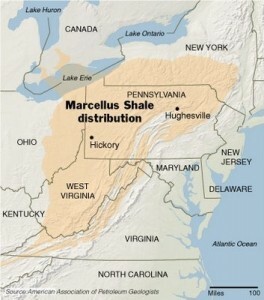 In West Virginia in 2009, 426 Marcellus wells were permitted and 125 were drilled. In 2010, 433 were permitted and 58 drilled in WV. Marcellus shale is not the only formation that is being fracked to harvest gas. Other shale formations exist in the United States as the map below shows. The technique of fracking was employed in the western US before gas producers brought the technology to bear on the Marcellus shale. 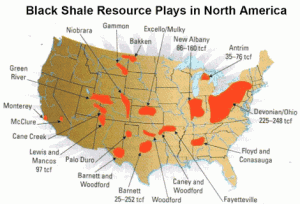 It was only recently established that fracking Marcellus shale could be performed profitably.